I'm a big fan of the Import Data task in SAS Enterprise Guide, especially for its support of text-based files (CSV, tab delimited, fixed width, and more). There's no faster method for generating SAS code that reads your data exactly the way you need it. I use the tool so often that I take for granted some of its neatest features, and I forget that many new users (and even veteran users) might not know about them. In this article, I'll review a few of the cool things that this task can do for you. We think of CSV files (and...alas...Excel files) as the main standard for data exchange among systems, but many legacy systems still produce and consume fixed-width text data formats. 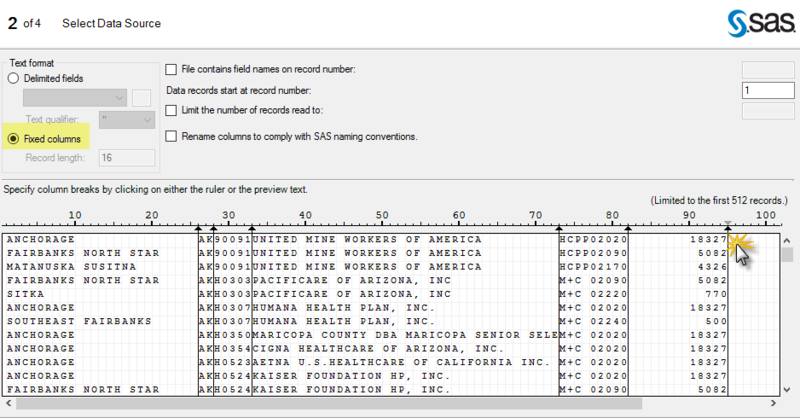 The SAS DATA step is a perfect tool for reading these files, but defining the columns and their properties can be tedious. The "Fixed columns" option on the Import Data task can make this job simple. Here's a click-saving trick. 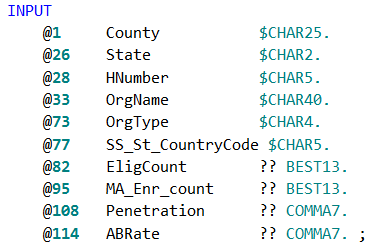 Sometimes you have an input data file that contains many columns that share the same properties: type, length, and SAS format. It can be tedious to click and modify the properties of each column that you want to import. There's a shortcut on the Define Field Attributes page of the wizard that you can use to change the attributes for several columns at the same time. Simply SHIFT+Click to select multiple column definitions on the page, then click Modify.... The "Field Attributes for Multiple Selections" window appears, and you can change the necessary attributes just once and apply to the many items you picked. This trick works as you import any text file or Excel file. In a previous article I described how the Import Data task works "behind the scenes." Some of the magic that the task performs is not captured in SAS code, and that can present a challenge when you want to reuse this work in other settings -- for example, in a batch process or in a larger SAS program. However, with a couple of tweaks you can coerce the Import Data task into creating SAS code that you can almost just "lift and shift," as is. The one missing piece, a confounding factor when you select a local text file to import on a remote SAS Workspace session, is the transfer of the local file to the remote server. SAS Enterprise Guide copies the file for you -- behind the scenes -- and there is no SAS code to represent this step. You can take control of even this step, though, if you make use of the Copy Files task (now available for you on the Tasks->Data menu). 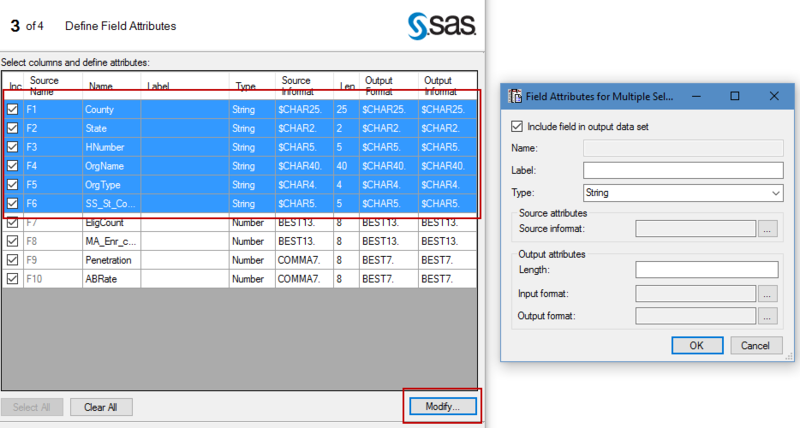 You can then copy the file from a local source folder, and land it wherever you want on the SAS server. Modify your newly repurposed Import Data code to pull from that server-based destination, giving you more control over the individual steps in the import process. Using the Import Data task in SAS Enterprise Guide. This one shows how to import Microsoft Excel files, but the basic steps are similar in the interface. 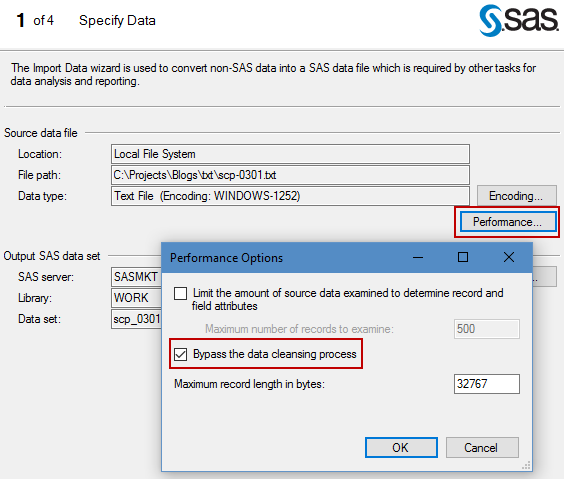 Tricks for importing text files in SAS Enterprise Guide appeared first on The SAS Dummy.